The Google AdSense platform is the most revered and attractive prospects that one can employ in order to begin the process of making money without any hindrances and hassles. Making money out of a venture majorly involves careful consideration and strict follow up of the rules and regulations. In Google, one can be sure that they will get to achieve what they wish for in terms of making money from their blog posts due to the frequency by which people visit and get the services they want from their module. Starting a Google AdSense account simply entails one to have only the relevant information and sense of innovation and everything will be on its way up the road of stardom. Initially, a person needs to know all that is required in a Google AdSense account. This can be achieved when one gets to search and do a thorough consultation process as to the processes and working of the Google AdSense account. In doing so, they will be able to trace all that is required and also get to identify how best they can be able to make everything work for them. Upon setting up a Google AdSense account, one should make sure that they have a definite blog URL that will be used to guide the people searching through the internet. This will be the uplift that the person will require in order to forge ahead in the process of making Google AdSense a business venture. An individual needs to identify the best primary language that will be used in their blog post and this should preferably be a language that is spoken by majority of the populations of the world. This will be very instrumental in ensuring that many people will get to read the content in the blogs and therefore one will be guaranteed of massive success in the number of clients. 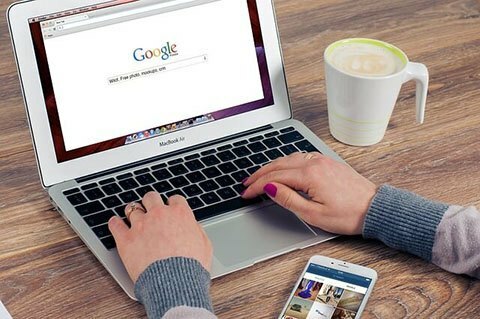 A successful Google AdSense account will depend on the type of content that the person chooses to incorporate into their blog posts. This will mean that the more appealing the content is, the more clients a person will get visiting and viewing the blog and this will automatically lead to higher revenues. A person should therefore do some research on the text ads and or image ads that will help make them appealing to the population base. This will have a ripple effect to the earnings that a person will be able to get from the venture. The payment information is also a necessity when one needs to make sure that they have the right Google AdSense account that is up and running. This payment information is majorly important since it will dictate how and in what modes the earnings that a person has made will be able to reach the respective party. This therefore calls for complete consideration and careful evaluation of all the avenues of payment since in having a perfect strategy, one will be sure that their payment will always reach them right on time. Anand is Tech blogger. He contributes to the Blogging, Gadgets, Social Media and Tech News section on TechHolik. Amazing informative blog site with a huge deep knowledge. Thanks for sharing this and looking forward to seeing more from you. Hii .. I read complete article, very beautifully explained. Heartily thanks for giving such important information. Home Improvements can be Great Long Term Investments! Rohit on Is Social Media The Right Thing for Your Business?